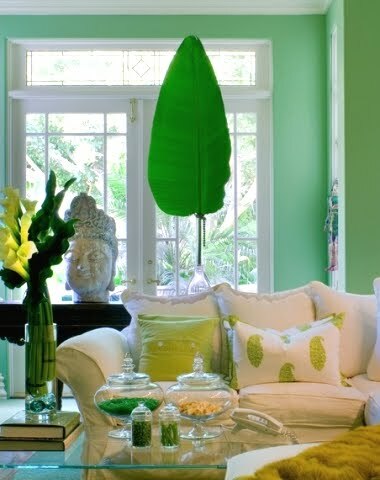 Add tropical flavor and green to your space with palm leaves and palm fronds. 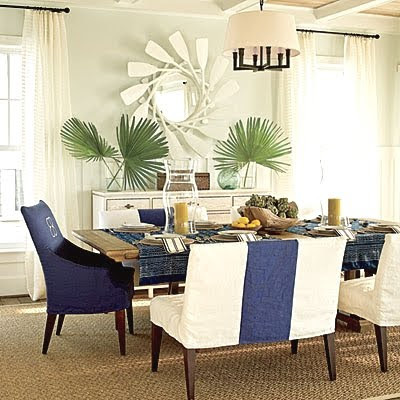 Large palm leaves in glass vases give this dining room space at Coastal Living Beach House 2011 a sophisticated tropical vibe. 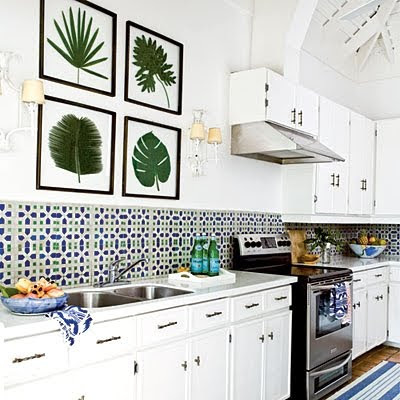 All images are via Coastal Living. 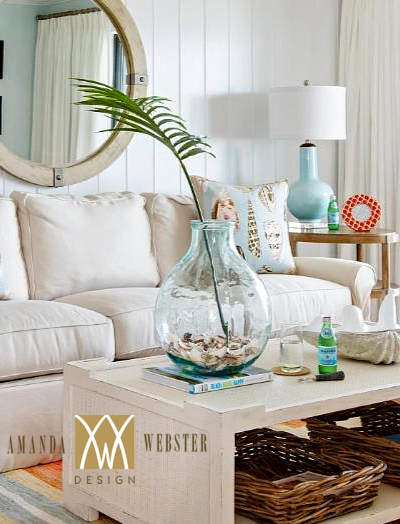 Palm frond in an Oceanic Glass Vase by Amanda Webster Design featured on here. 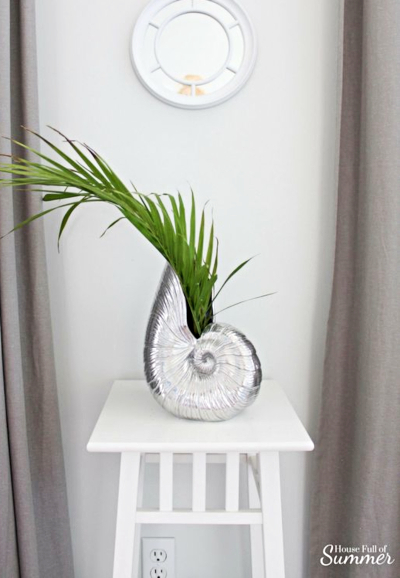 Palm leaf in a shell vase, seen at House Full of Summer. 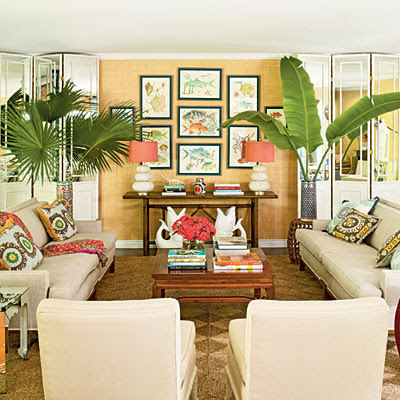 Palm fronds and oversized banana palm leaves. A huge leaf, seen at Tracy Murdock. Not your everyday houseplant. There are over 3000 different species of palms. This palm leaf belongs to the feather palm family. 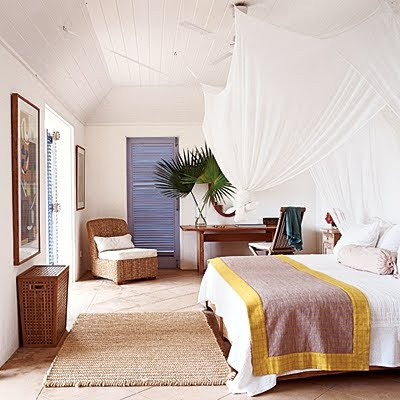 Palm fronds in a Caribbean Island Home. 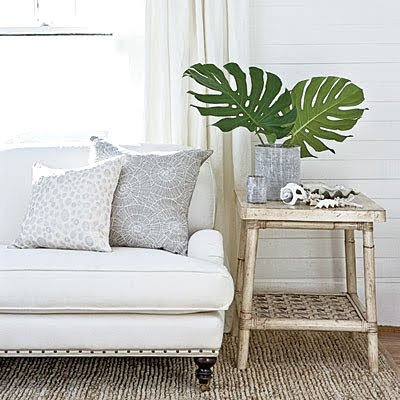 Fresh cut palm leaves placed in a vase can last a couple of weeks or even longer.